Moving averages can be used to identify a trend. 3. How Do I Chart the Stock Market With the Wyckoff Method? The Forex market is a global financial market where participants exchange one country's currency for another country's currency. The security that is traded among investors is a currency pair that fluctuates based on market sentiment. The currency markets trade actively 24 hours a day, six days a week across multiple time zones. Investors can use a number of different techniques to identify a trend in the Forex markets. A Forex market trend occurs when the price of a currency pair moves in an identifiable direction over a specific period. The price of a currency pair is quoted as an exchange rate, which is the value of one currency relative to another. The moving average of the price of a currency pair is one of the best trend indicators. A moving average is the average of a specific number of currency pair prices that changes with time. For example, a five-day moving average is the average of the last five days; on the sixth day, the first day is dropped from the calculation of the average. If a moving average is climbing, the trend of the market is generally climbing; when a moving average is falling, the trend is usually declining. A moving average crossover is another way to identify a trend. 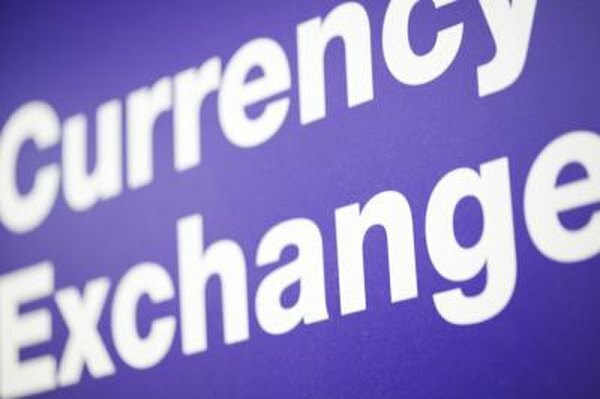 Many investors view currency pair exchange rates on a chart that tracks a moving average. A crossover occurs when a short-term moving average of a currency pair price increases above or declines below a longer-term moving average of a currency pair price. For example, if a five-day moving average of a currency pair price crosses above a 20-day moving average of a currency pair price, an uptrend could be happening. The price of a currency pair will fluctuate through out the course of a day and will create a high price and a low price. When the high price of a currency pair is above the high on the previous day, it creates a "higher high." When the price of a currency pair is lower than the previous day's low, it creates a "lower low." Higher highs of a currency pair combined with higher lows of a currency pair also demonstrate a Forex trend. For example, if a currency pair makes three consecutive higher highs along with three consecutive higher lows, an uptrend is in place, while three consecutive lower lows along with three consecutive lower highs indicate a downtrend. Trends can also be identified by combining techniques. The combination of consecutive higher moving average levels with a moving average crossover can confirm that an uptrend is in place. An investor can also combine price action and moving averages to help define a trend. For example, consecutive higher highs along with a climbing moving average can confirm an uptrend.